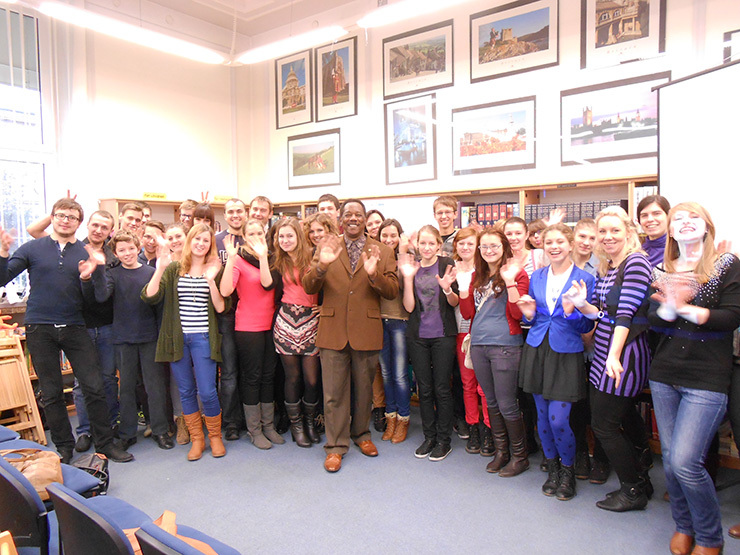 On November 30, 2012 Stan Breckenridge gave a lecture titled Call & Response, Rhythm, and Vocalities: Three Staples of African American Music to university and high school students at the British Centre in Lublin. Here the audience is asked to synchronize various rhythms with their hands and feet. Here Breckenridge is demonstrating syncopated rhythms. This was a fun group of individuals who were eager to learn about music through lecture and participation.